I love playing with my Crate goodies. Love it! 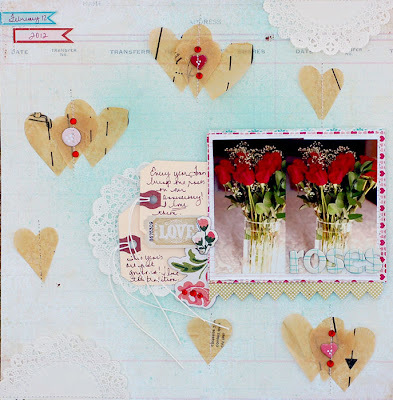 This week I had a chance to get out Paper Heart and Random and create a bit with each. It's fun to make stuff just for the fun of it. Often, I'm making projects for DT requirements, which is fun, too, but being able to just grab something without any constraints really helps me with my creativity. This first page uses Random. I think it is and will always be one of my favorite Crate lines. I decided to scrap about my Lenten Sacrifice. I'm a coffee junkie. I visit Dunkin Donuts, Starbucks, Wawa, etc. 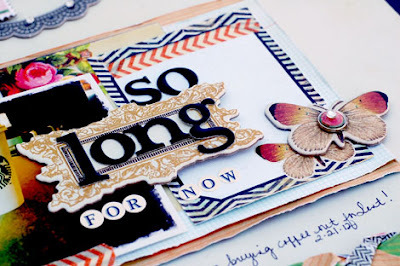 at least once (if not more!) a day. So, I decided that for Lent I will only make coffee at home. So far, so good. But, I'm really missing my daily stops. Coffee at home just doesn't taste as good!! Really. Anyway, I played around with a new technique - braiding paper- on here. The result is the border under the photo here. Next up is a page I created about the roses I get each year for our anniversary. I love this tradition. I used Paper Heart on here. I misted the background of the paper with Mr. Huey Dewey. 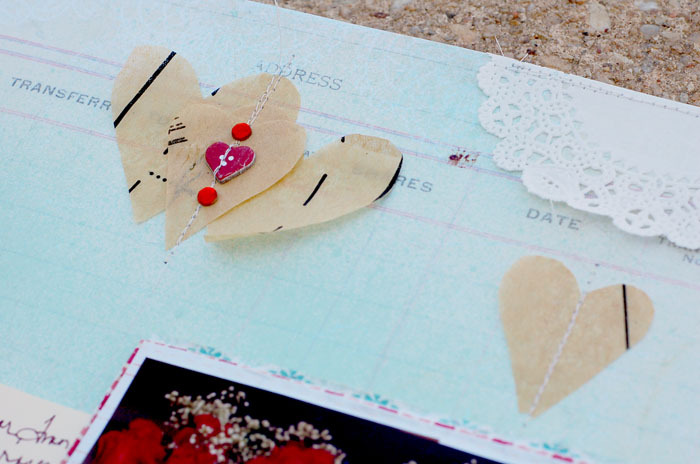 The hearts were cut from vintage patterned paper and stitched down the center. Thanks for letting me share my latest projects. And thanks, as always, for stopping by! Love, love, love! Especially the first one! Love the straight lines combined with so many interesting and fun details! You rock girl! :-) So inspiring! Stunning layouts!! 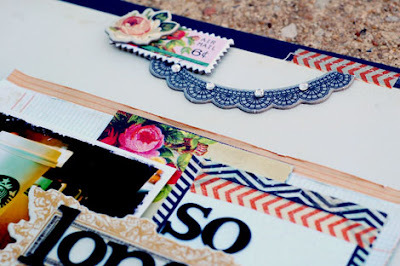 Love the braided paper on the first one, very creative! 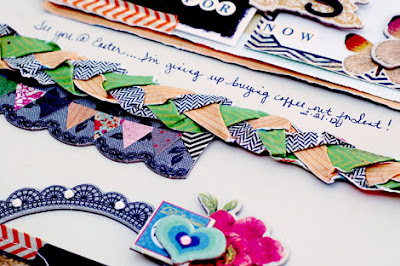 Lovely work , I love the plaited ribbon so dimensional. Love them all . Love the contrast on the white background in the first and the soft colors in the second, beautiful ! Boy oh Boy Anabelle these are just STUNNING!!!!!!!! Love how you braided the paper and those hearts are soooooo cute! Wow! 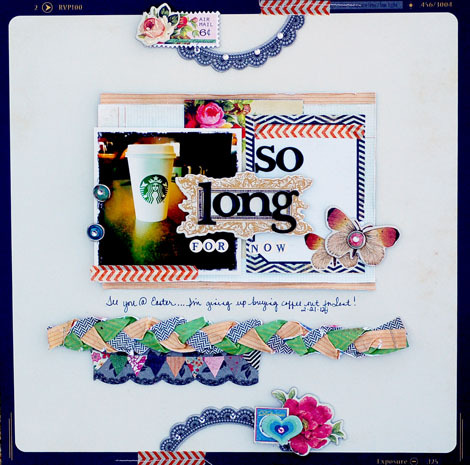 Love your layouts, especially the first one!!! Going to pin it!! love the stitching through the hearts and the braiding. 2 gorgeous LOs Anabelle!! Love the uniqueness of the braided paper technique! Hope you're well! Always something creative and fun to be found in your work, Anabelle! 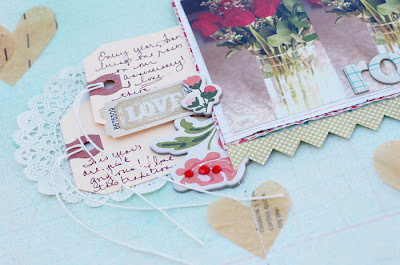 Love the paper hearts and braid...beautiful work! love them both! 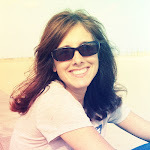 your topics are awesome! Those vintage paper hearts are so sweet. But I absolutely love your comment about WaWa - people who haven't experienced WaWa just do not know what they are missing. I dread leaving this area, though I suspect that the day will come once we've retired. Maybe we won't retire!